Niddhi gets yet another blow when Dr. Mallika reveals to her that Dr. Ashutosh had recommended her name for the job. Niddhi instantly resigns from her new job and leaves the convention along with Rohan. While Dr. Ashutosh on seeing Rohan thinks that Nidhi has moved on in her life, will Rohan be able to bring them together after knowing that Dr. Ashutosh is equally in love with Nidhi? Finally Bhabho and the entire family gets to know the conspiracy behind the fire fiasco. While the entire household considers Meenakshi to be the mastermind behind the fire, will they ever get to know the truth about Vikram. Will Meenakshi eventually leave the house or will she manage to convince Bhabho with her stories? Kunal is trying to unite Chaitanya and Shilpa and ease Siddhi’s tension. Meanwhile Siddhi pleasantly surprises Kunal by making arrangement of funds for Raveena’s Mehendi ceremony and unknowingly puts a stop to Richa’s evil intentions. Will this gesture from Siddhi make Kunal slowly fall in love with her? So tune in tonight to watch the drama unfold in each of the above shows!! Sing a song:The untold story ! Iss Pyaar Ko Kya Naam Doon (Star Plus): Nafrat Paas Aane Na De, Mohabbat Door Jaane Na De. Arnav Singh Raizada does not want to believe that Khushi has slowly but steadily made her way into his heart like no one before. In his state of denial, Arnav has left pyaari Khushi confused. She is still unable to fathom what prompted Arnav to decide marriage with Lavanya. His sudden decision to bond with La for life left Khushi speechless while tears rolled down her eyes. She was immensely hurt. She wanted an answer from Arnav to ease her restless soul, but he left her with more heartache. Finally, Shyaam’s evil intentions succeeded with Khushi agreeing to marry him. Last, time Arnav’s heart freezed on hearing about Khushi’s marriage, will that be the case this time too? Here’s a song from the movie I Hate Love Storys which beautifully describes the emotional turmoil of Khushi and Arnav. 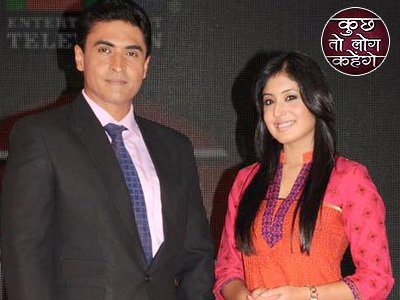 Geet Hui Sabse Parayi (Star One): Lucky, Preeto, Dev and Nandini continues their Tu Tu Mein Mein. They have turned Maaneet’s “Love- Nest” upside down with their Mad-ness! Amidst all this drama, Geet suddenly finds her being followed by an unknown Stalker who terrifies her by sending gift, letter and eventually reaches her bedroom and writes on her mirror. The pre-cap showed Geet following the stalker and entering his house where she sees her photograph on the wall and gets startled (the mesmerizing Kurbaa Hua picture **sigh**). I so want to tell the Stalker “tuney SHER ke mooh mein haath dala hai.” No one messes with MAAN ki GEET. As soon as our Sher Singh Khurana returns, he will beat him Black and Blue. Geet do not fear when your MAAN is near. We felt this song from the movie Betaabi aptly describes the Stalker’s Obsession. Balika Vadhu (Colors): The sudden disappearance of Anandi and Shravan at the same time has raised many eyebrows in the village. The villagers who always thought so highly about Anandi have now started questioning her character. Even though her in-laws always supported Anandi and showed immense faith and confidence in their “daughter” but somehow they too are unable to explain to themselves as well as the others as to why Anandi was no where to be found. But when the whole world raised their finger at Anandi and questioned her integrity, Jagiya came forward to stand by her. He had full faith and confidence in Anandi and assured his family that he would find her and get to the truth of this incident. Will this incident once again bring Jagiya close to Anandi? Let’s wait and watch. Meanwhile we thought these beautiful lines from Late Jagjit Singh’s album Marasim were apt to describe Jagiya and Anandi’s current status quo. 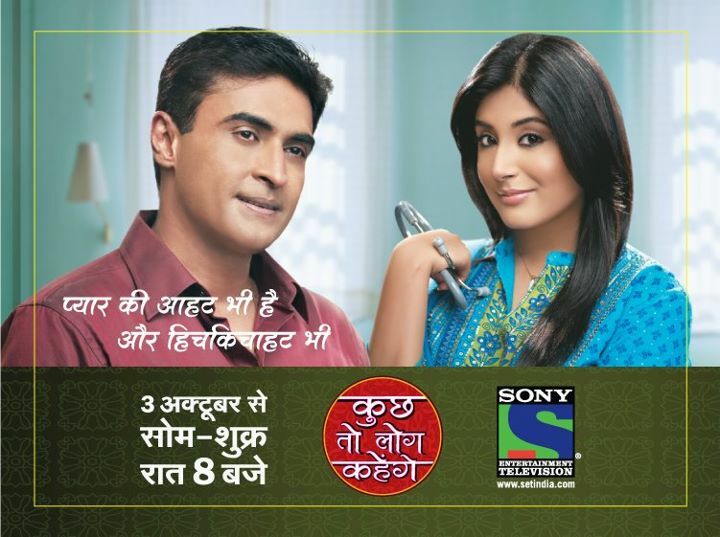 Kuch Toh Log Kahenge (Sony): Dr. Nidhi has finally seen the real Dr. Ashutosh and realized that he is not ‘khadoos.’ For the first time Ashutosh opened his wounds before Nidhi and told her how his Baba abandoned him one fine day. Will Nidhi get to know the real identity of Ashutosh’s Baba? While Nidhi is slowly falling for Dr. Ashutosh who is 18 years older than her, will Mallika be able to make her place in his heart? The precap showed Nidhi deciding to join back the hospital. Does she really need to beware of Dr. Mallika as suggested by Anji? It would be interesting to see how Dr. Ashutosh deals with both these women and balance them in his life. These lyrics from the movie Prem Geet are just perfect to describe this unique couple. Navya (Star Plus): Friends are people we choose to include in our lives and hence they are very special. The friendship that Anant and Navya share with Appy, Ritz and Ranveer is extremely heartwarming. They have stood by each other through think and thin. Friday’s episode left us all with a heavy heart as they all Bid Adieu to their college life. They made us nostalgic and reminded us of our last day in college. Life from here on will never be the same again for any of them but we hope their Friendship continues to grow thicker and stronger in the days to come.This song of friendship sung by KK is dedicated to this bunch of friends!! We at Rangmunch.TV hope that you like and relate to these situational songs that we felt were very apt and described the emotions involved in the ongoing track. The Man Who Sailed Alone With His Pain!